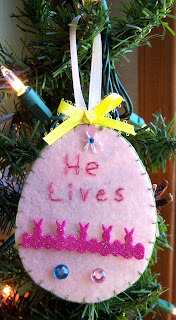 I made the above felt egg at a recent "egg making party" my friend had for our kids. She had soft felt there for them to sew two eggs together and stuff them with fiberfill, or you could use the hard felt and make ornaments like mine. I was a bit slower at completing mine than the kids were, so I only finished one. As I'm sure you can figure out, the possibilities are endless for making a whole set of eggs like this to decorate a Spring Tree. 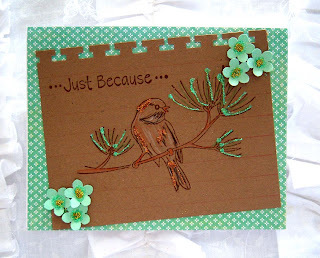 Here's some links to things I've made in the past. 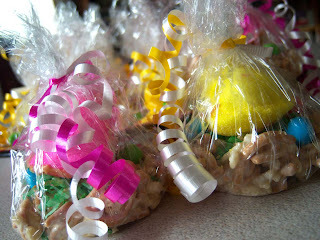 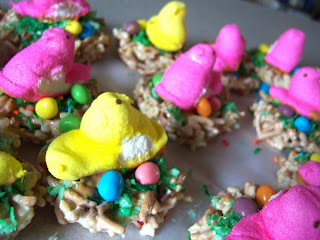 I also did bird's nest up for the Jr. Church kids last year. 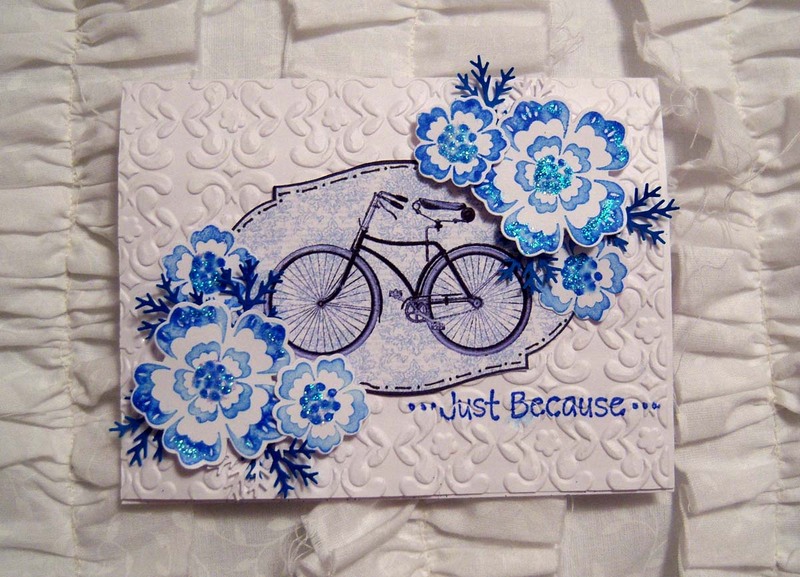 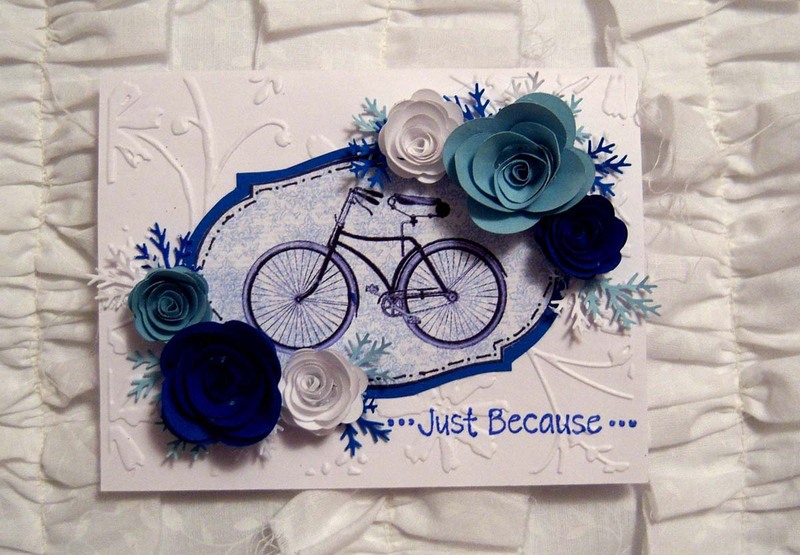 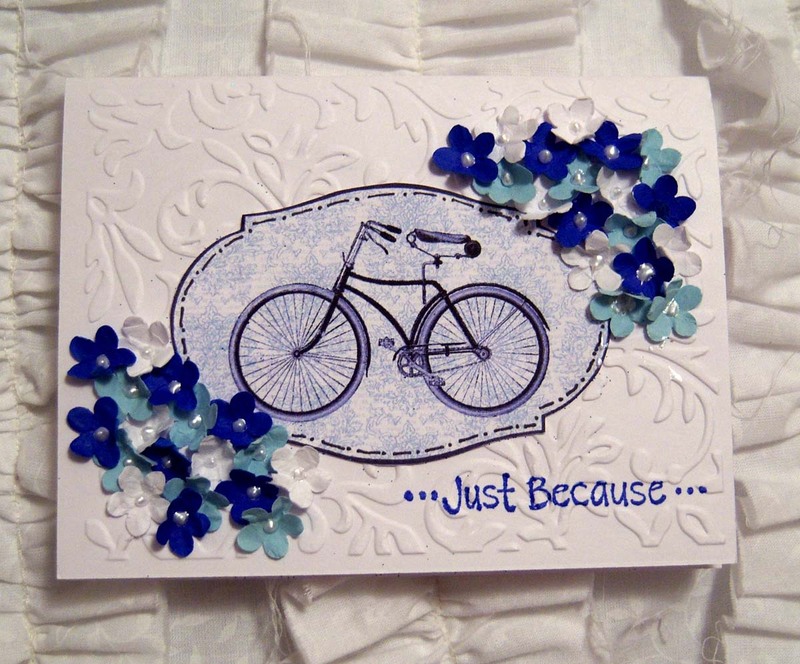 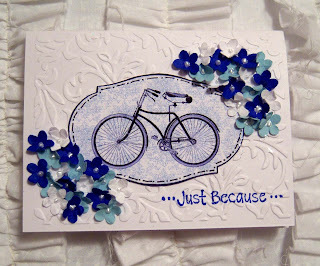 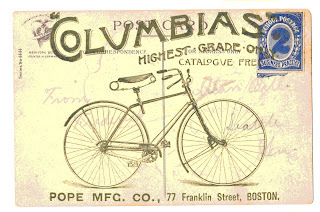 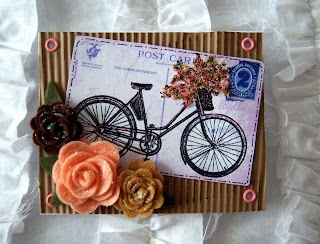 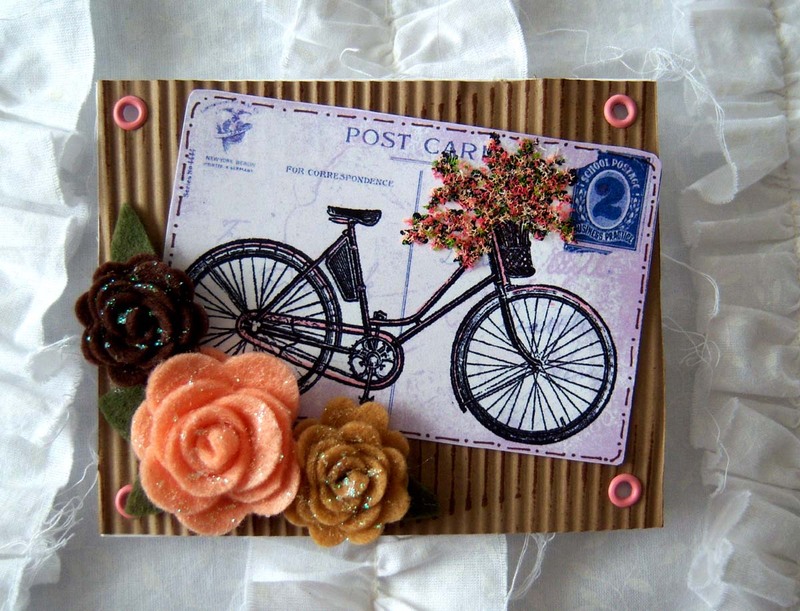 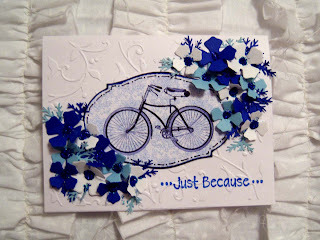 I'm on a roll with bicycles (in case you couldn't tell!). 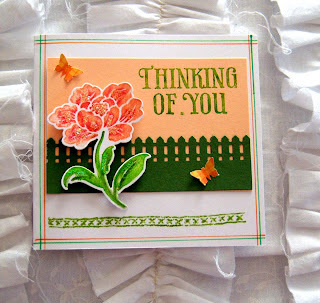 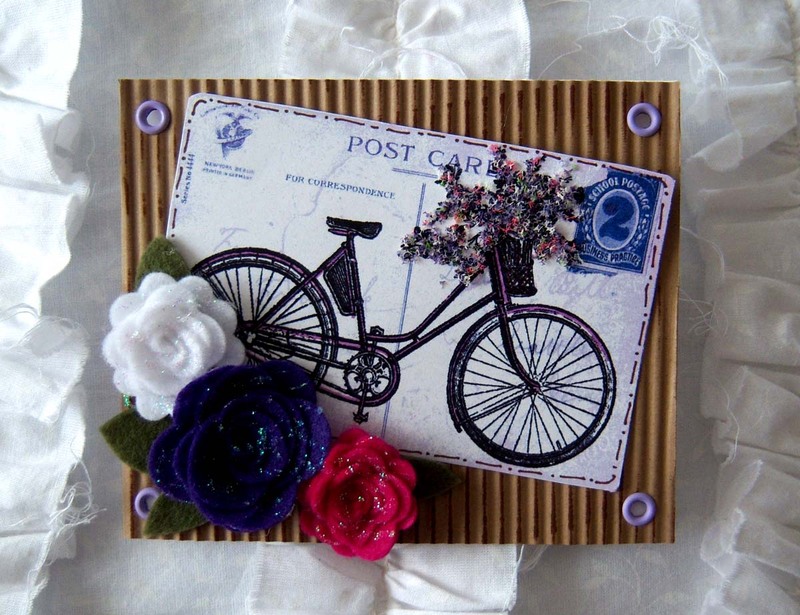 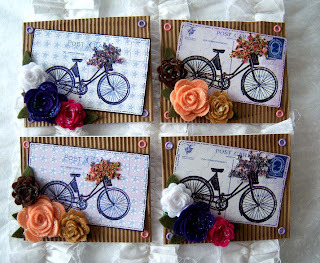 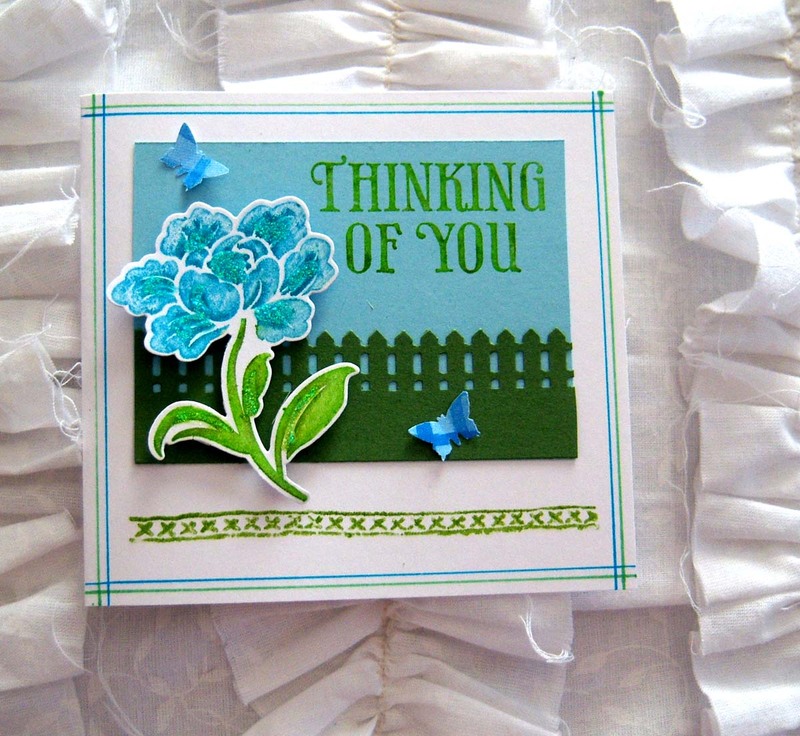 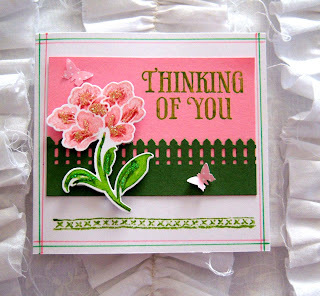 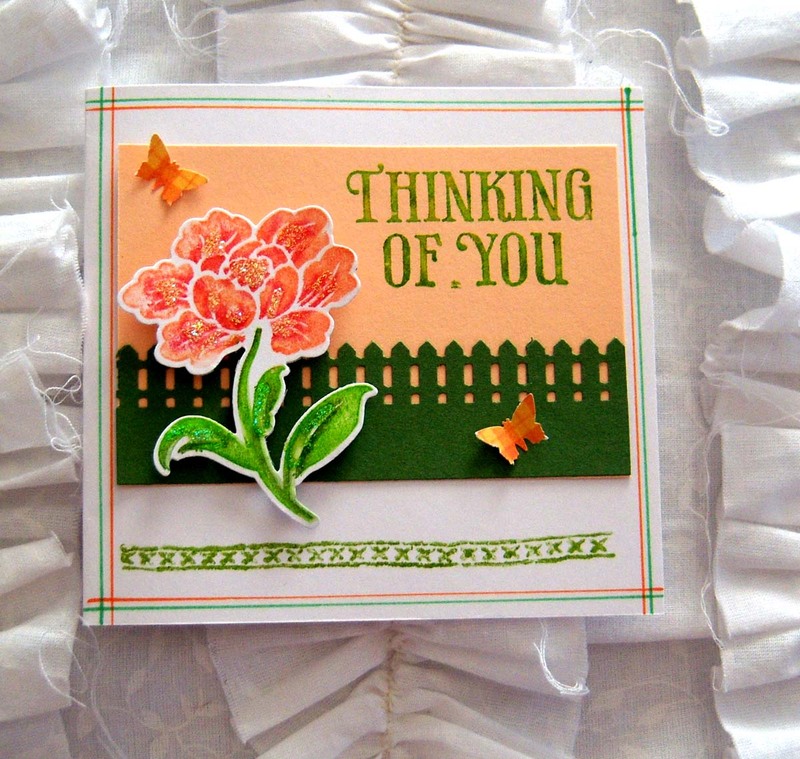 I made some more cards using flowers soft on these and felt rolled roses! I absolutely love the felt roses (inspired by these cards on splitcoast -- cream roses , red roses, more cream roses, pink roses, pink and white roses, red and pink roses, peach rose, pink with pearl centers, yellow rose, white rose and felt buttons, yellow rose, teal rose, felt flowers, pink rose, fall roses, and many, many more!). 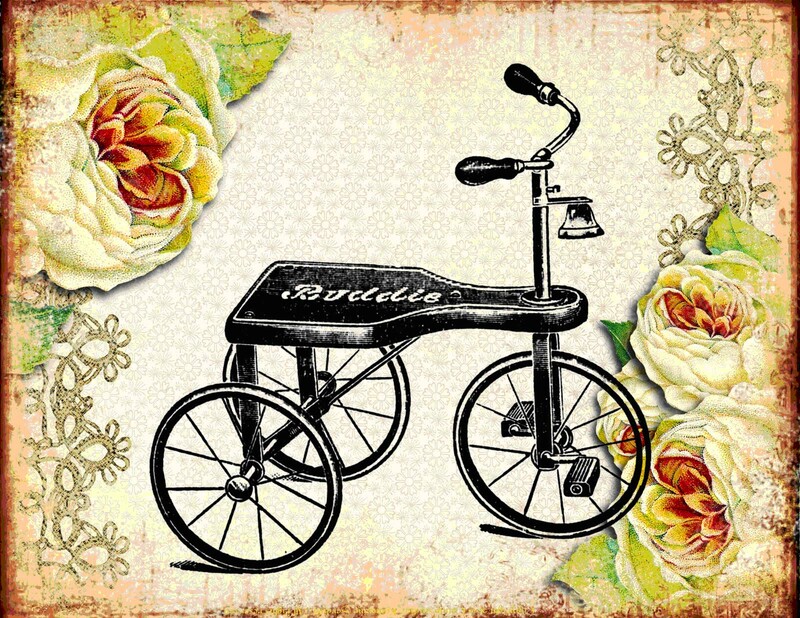 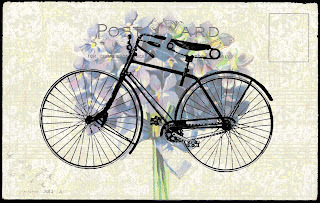 I had been wanted a digital bicycle image with a basket of flowers, but didn't find one for free. 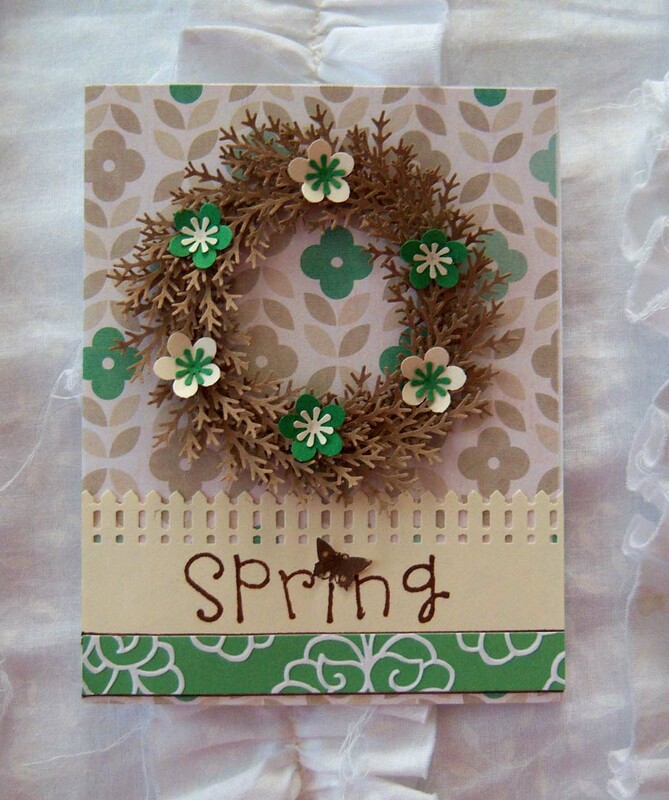 Instead I purchased this one from etsy for $1. 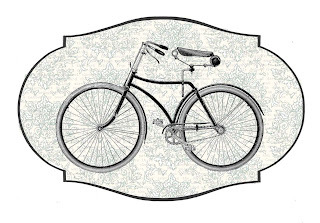 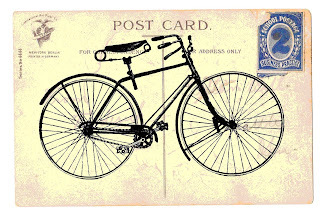 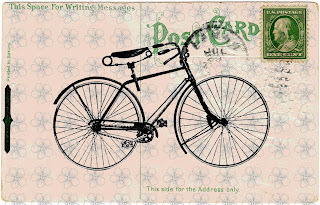 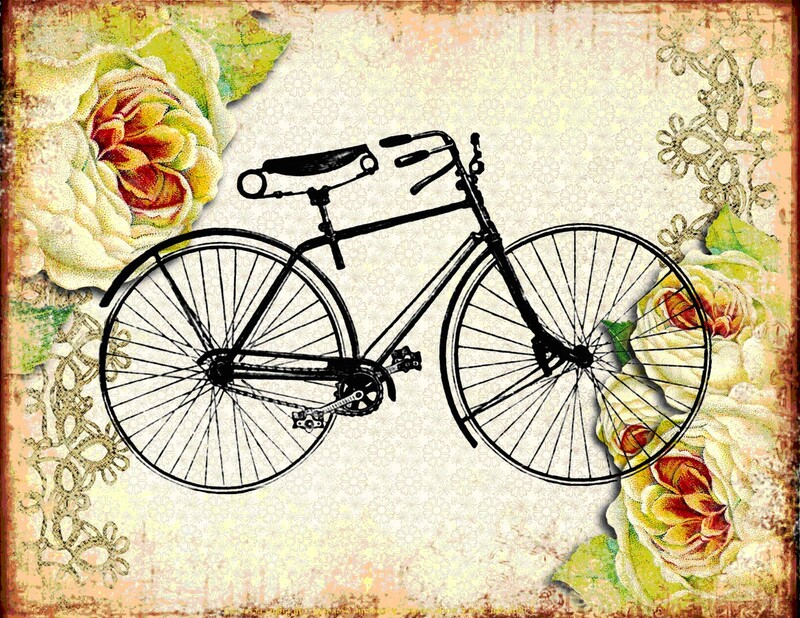 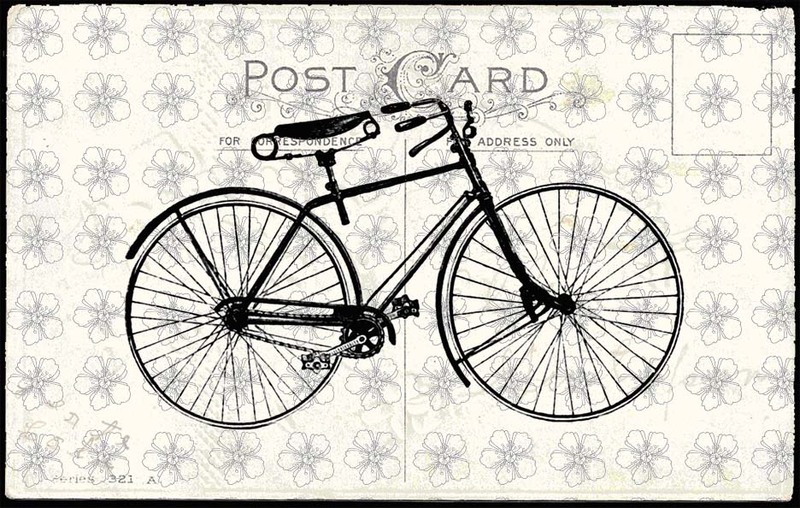 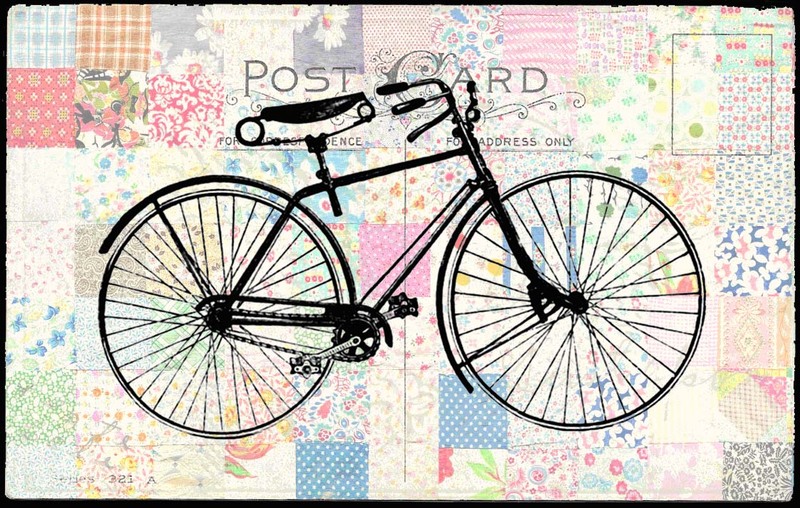 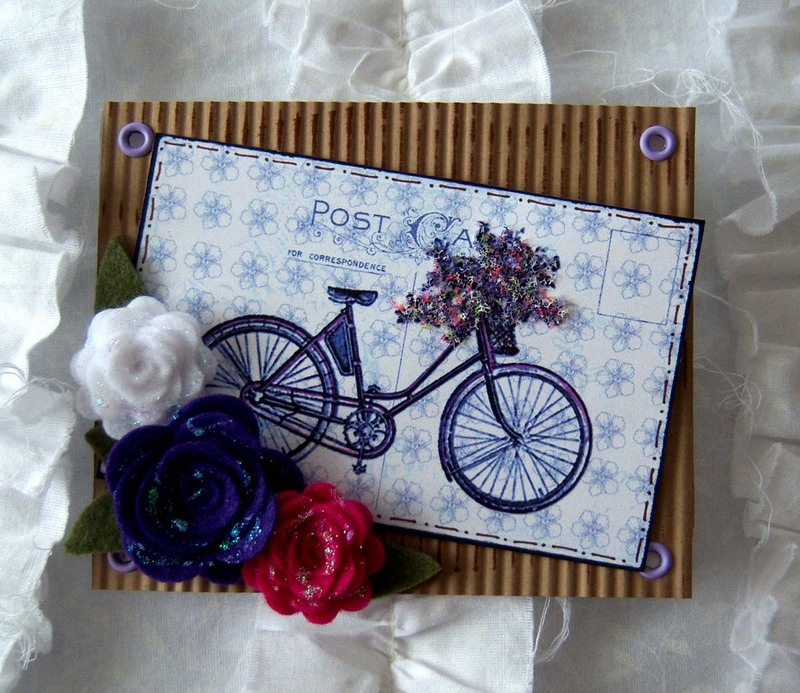 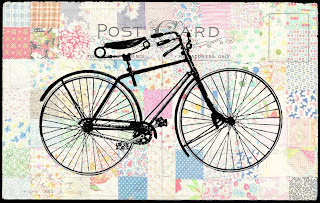 Since it wasn't a free one, I can't share the digital collages I made with the bicycle and basket, but I'll share the ones I've made with free bicycle images. 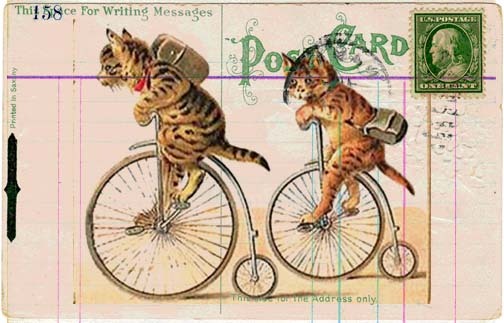 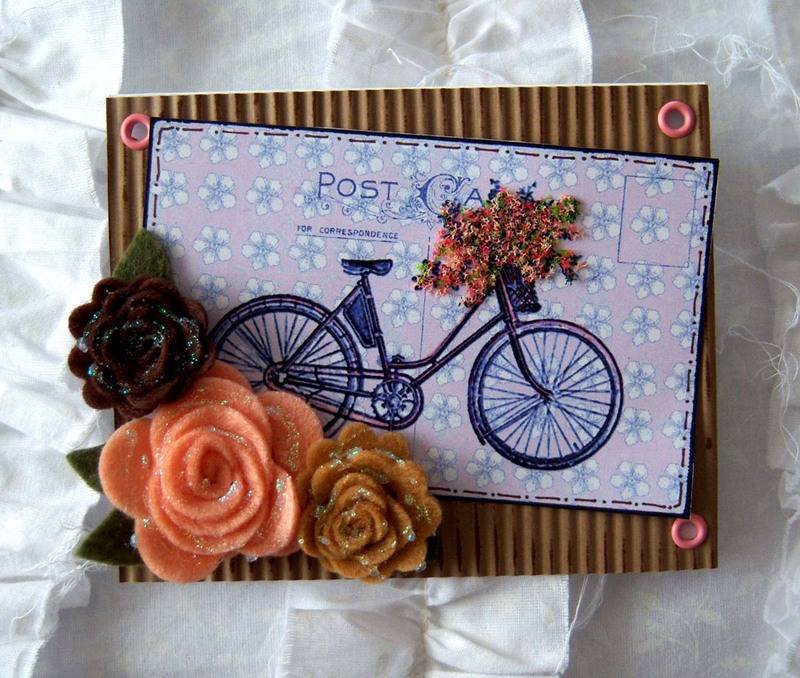 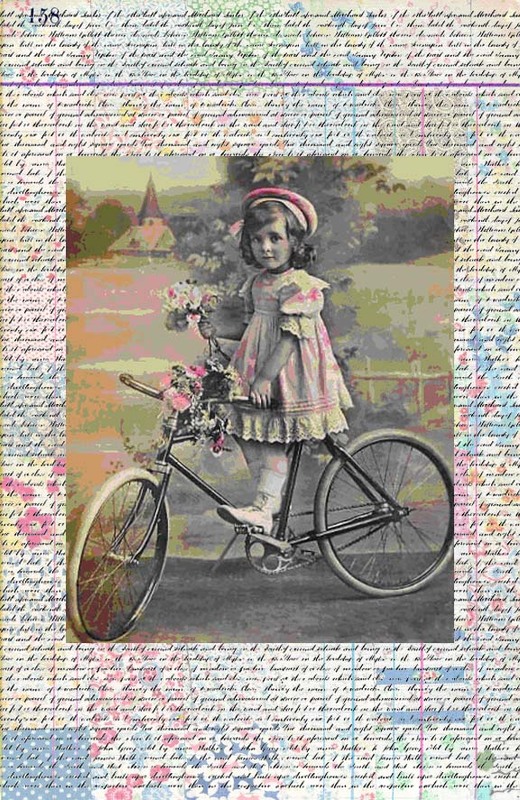 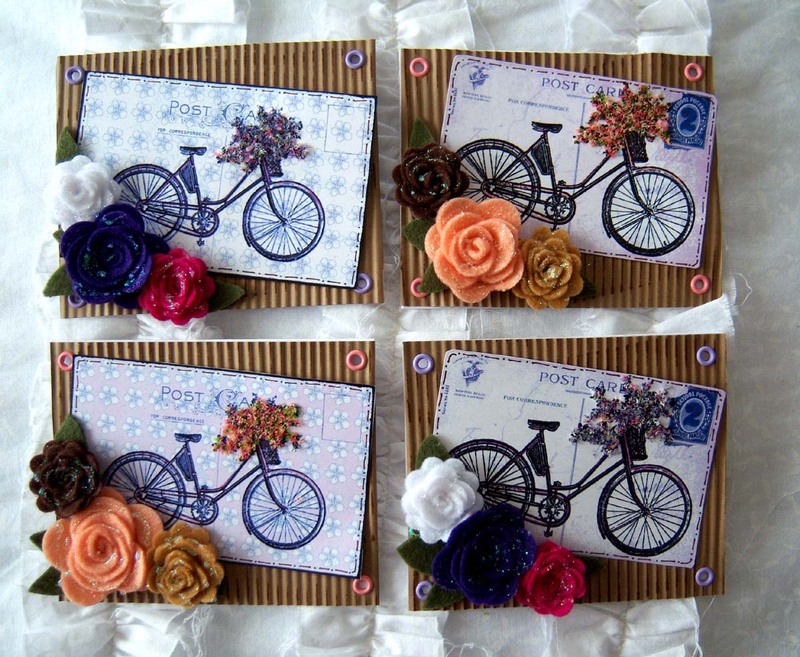 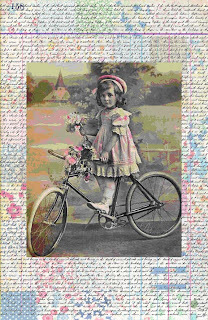 I couldn't resist adding these two bicycle collages -- an adorable little girl and cute cats! 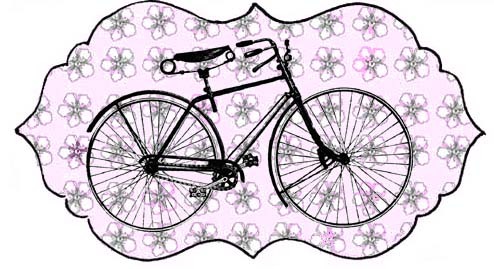 After seeing this post (You are "wheely" beautiful! 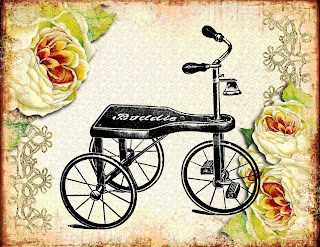 by Mel) I knew I wanted to do something with the free bicycle image she used. 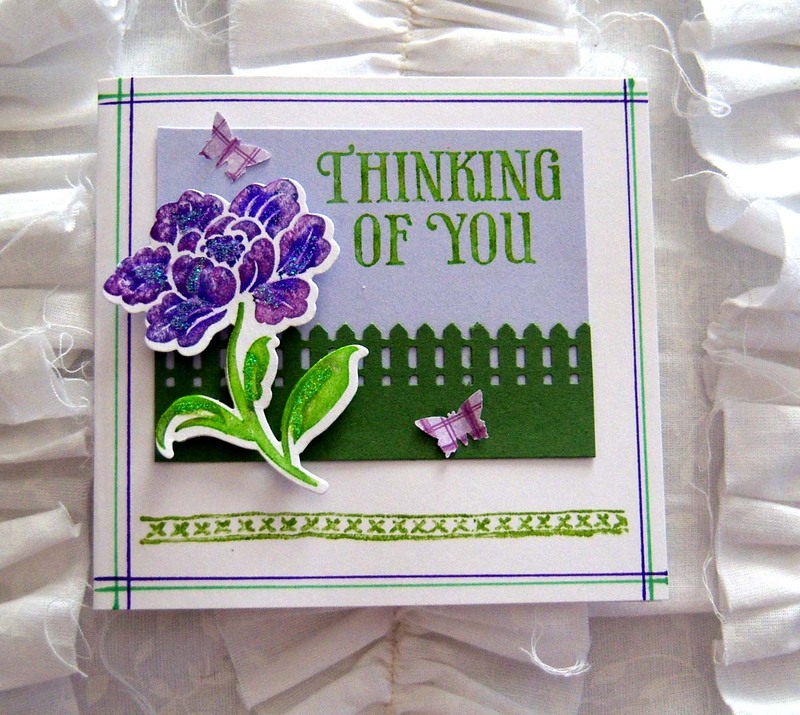 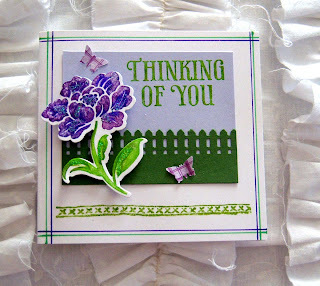 I combined several images from her site to make my focal point, and then added different flower groupings around each one. 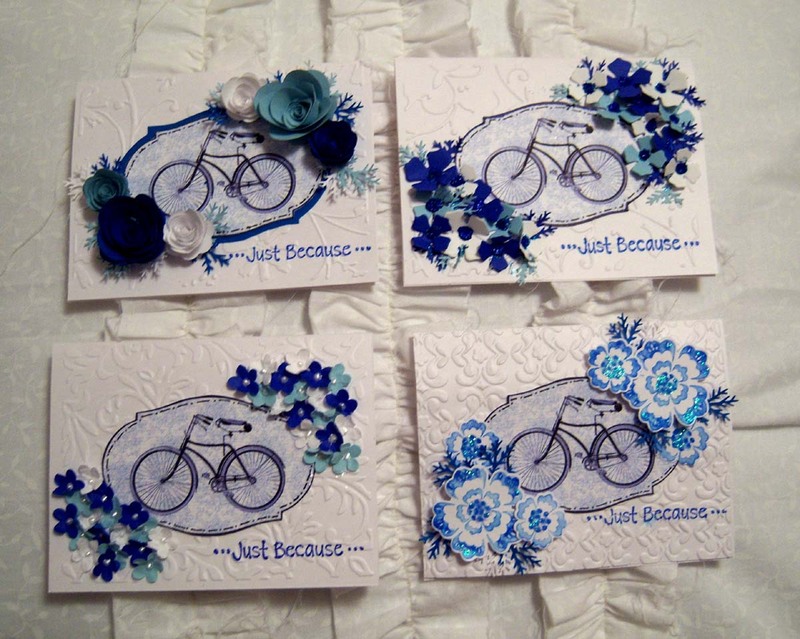 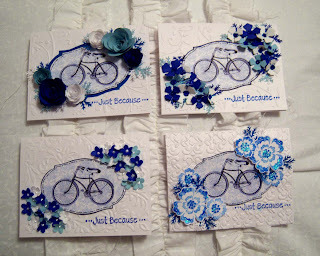 I'm lovin' how they came out --- blue is one of my very favorite colors to do monochromatic cards in. 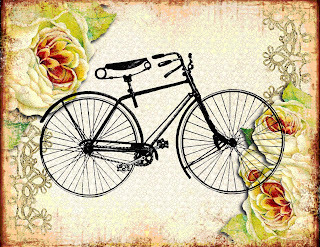 Here's the image I used as my focal point..it's free for you to use, but do not repost it on your blog or sell it! 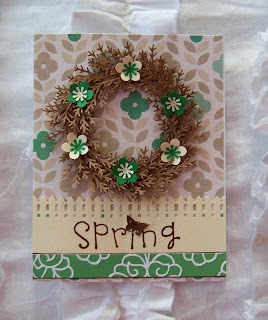 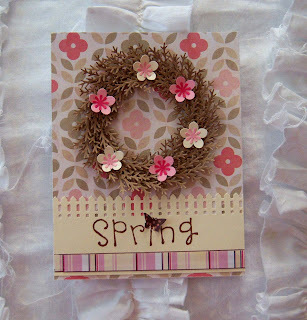 I made a few spring wreaths with my Martha Stewart branch punch and kraft paper. 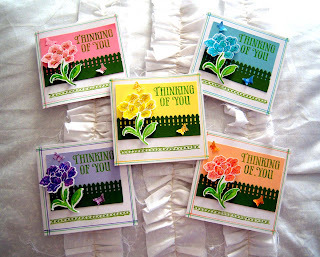 I made a whole set of spring cards using the "stamping with markers" technique I saw over on the Hero Arts blog. 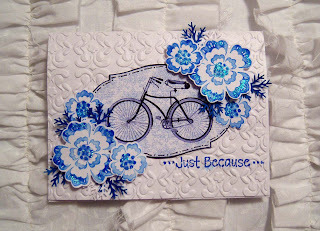 I even used the same stamp/die set --- just tweaked the design a bit to make it my own. 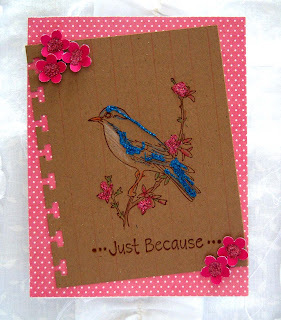 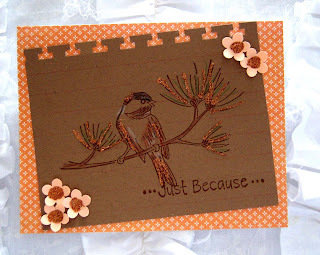 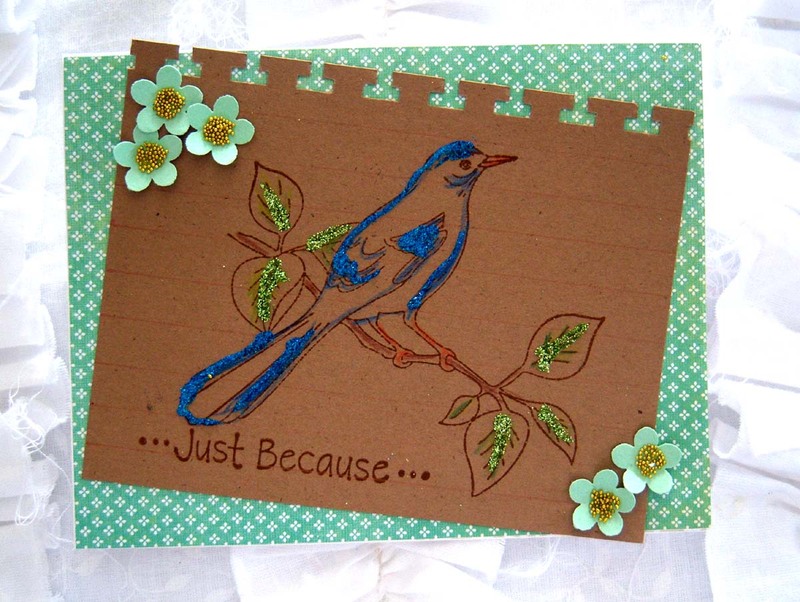 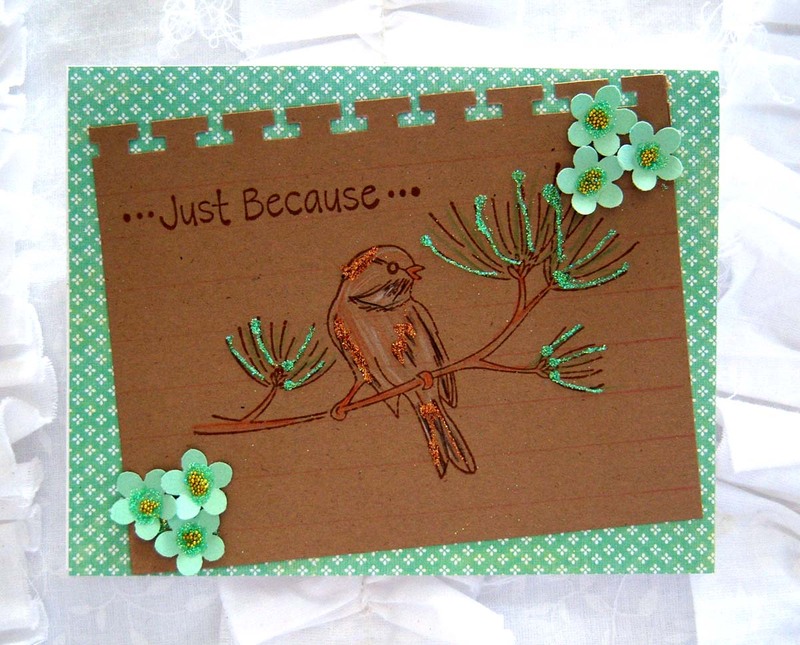 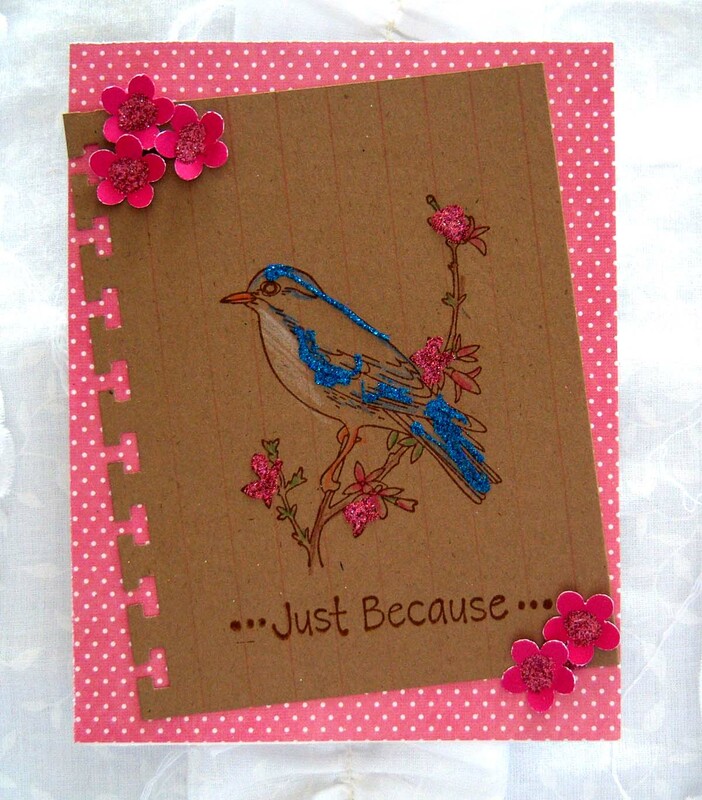 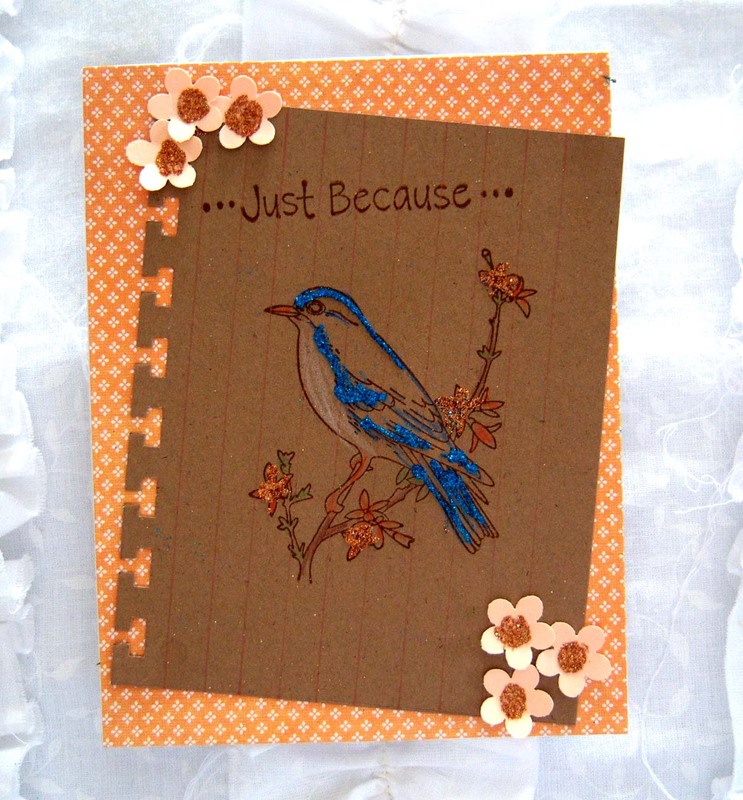 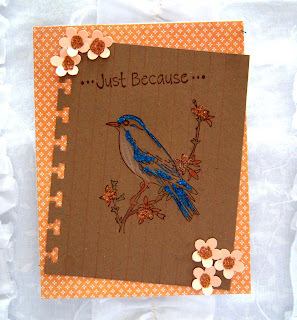 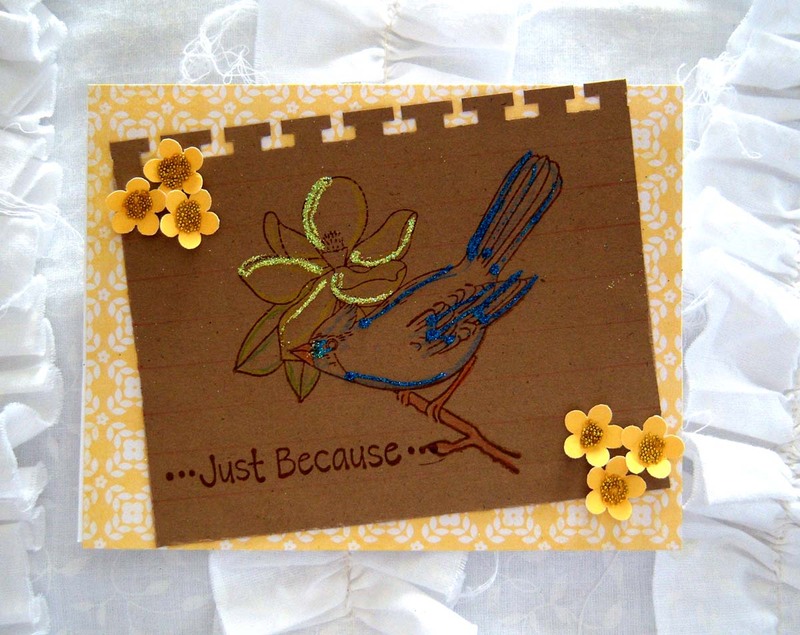 I made these super simple bird cards for a friend, in memory of her mother who passed away two years ago today. 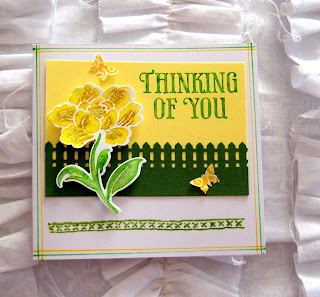 Just a little something to let her know I remember and care! 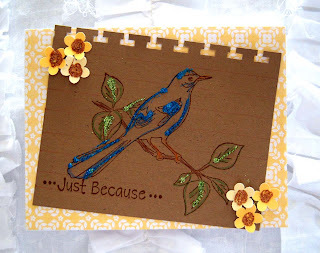 I love the extra "bling" the glitter gives them.....really makes the images "pop." 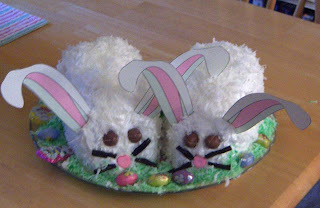 If you click on one of them you can see the details of them a bit better. 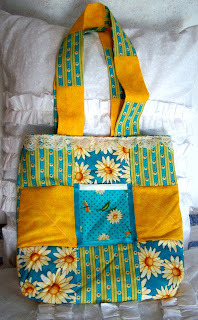 I made this purse for one of my husband's co-workers, but when I finished it he didn't think it was big enough for her. 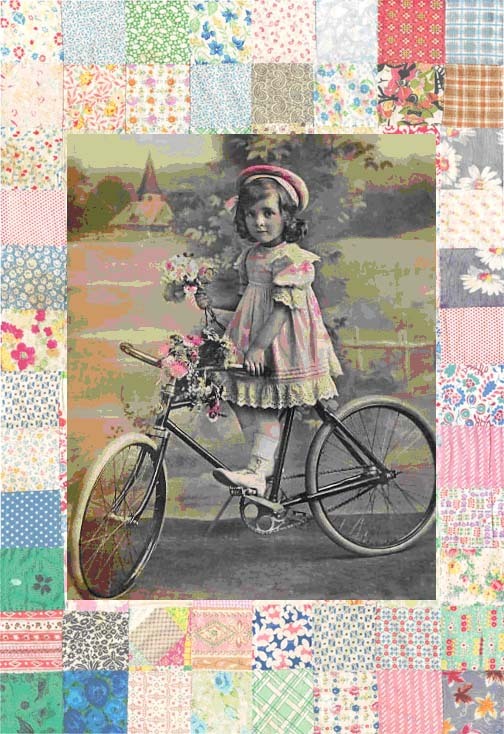 (Apparently she carries "everything but the kitchen sink" with her.) I like how the bag turned out -- using a fabric pack from Wal-mart already cut in 5" squares. I used a coordinating material for the lining and made pockets all the way around the inside using more of the 5" squares. 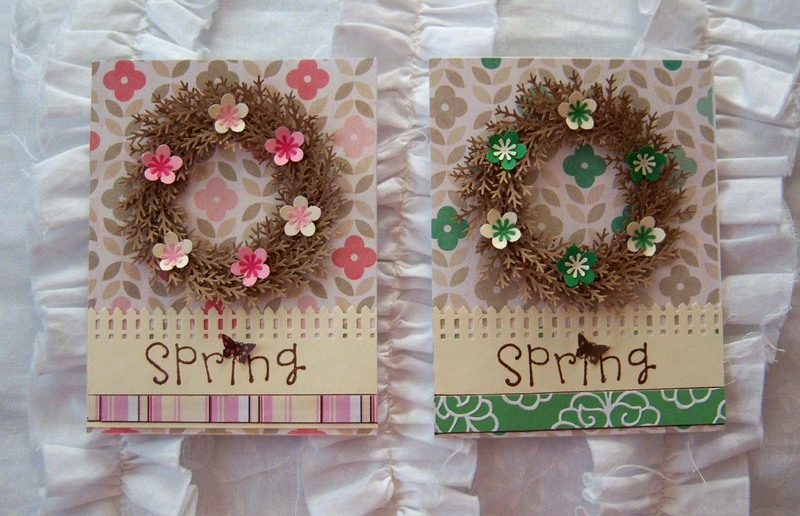 You can see that I attached the snaps differently too.....I actually forgot to put them in, so I put them on yellow squares and sewed them in that way. 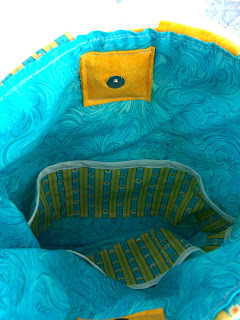 I really like the "color pop" it adds to the inside of the purse. Oh, and I used white bias tape on the top of the inside pocket and on the little pocket on the outside.